Posts from Twitter will no longer feature on the profile pages of LinkedIn users as the micro-blog looks to direct users to its own services. Twitter announced on Friday that it was continuing to seek ways to make the experience consistent across platforms and offer "core Twitter consumption through consistent products and tools." 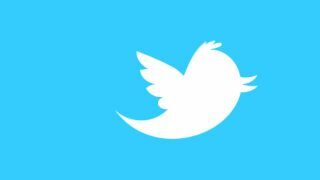 That means, the ability to sync your Tweets to your professional social networking account is out as Twitter puts the squeeze on third party websites that display tweets. The partnership between the two social networking titans had been in effect since 2009. LinkedIn's Head of Content Products Ryan Roslansky says he hopes that LinkedIn users will still share their posts on Twitter, even though it'll no longer be a reciprocal arrangement. "Consistent with Twitter's evolving platform efforts," he blogged. "Tweets will no longer be displayed on LinkedIn starting later today. We know many of you value Twitter as an additional way to broadcast professional content beyond your LinkedIn connections. "Moving forward, you will still be able to share your updates with your Twitter audience by posting them on LinkedIn." But why is Twitter looking to shut others out and make its service less visible across the web? The crux of the matter appears to have been nailed by Opus Research analyst Greg Sterling. "They don't want people to consume and interact with Twitter in places where they probably have no ability to put ads." Bing! The Twitter snub completes a tough month for LinkedIn, as the company seeks to recover from the password theft which saw the account details of 6.4m users uploaded to the internet.